The Department of Homeland Security (DHS) and Customs and Border Protection (CBP) are considering merging their respective “trusted traveler” programs, which means you don’t have to choose which program to use if you travel both domestically and internationally. According to David Pekoske, Transportation Safety Administration (TSA) Administrator, easing traveler headaches across both the domestic and international systems is the main reason he is evaluating the idea with his colleague Kevin McAleenan, CBP Commissioner. 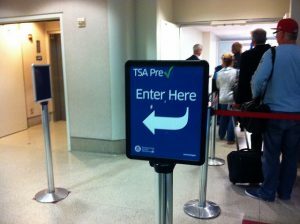 PreCheck, administered by TSA, provides travelers the option to go through a screening process that, for a fee, puts them at the proverbial “front of the line” when navigating security. Global Entry, administered by CBP, provides many of similar benefits for those wanting to streamline their customs and immigration process when re-entering the country after traveling abroad. This means, if you travel abroad frequently, you need PreCheck to leave the country fast, and Global Entry to get back in just as quickly. Currently, both programs support 12 million travelers. Sharing technology advances and data is another reason the idea is attractive to Pekoske. Global Entry, run by CBP, already uses facial recognition, while TSA doesn’t yet have the ability to use this when screening travelers, and that additional security measure appeals to DHS. There is no timeline for moving this concept forward from talking to implementation, but anything that would streamline the processes would be advantageous to the flying public. Do you use PreCheck or Global Entry? Would you like to see the two merged? Share your thoughts with us in the comments below, on our Facebook page, orin our Twitter stream. While air travel used to be a luxurious experience, today planes are the buses of the sky — some seats are comfortable, but many are, well, not. With a little bit of strategizing, though, you can get a better seat for your next trip. It takes some pre-planning, and maybe a fee or two, but you can avoid sitting in an uncomfortable seat way in the back. Don’t believe everything you read. If an airline’s website says “only premium economy seats are available,” pick up the phone and make your reservation with a live human being who can assign you a seat. They can see and do things the website can’t. Ask and it may be yours. You can always check with the gate agent when you arrive before your departure to see if there’s space on the upgrade list. Sometimes, a long-distance flight in coach can turn into a business class upgrade for much less than the original ticket price, and, bingo, you’re flying in comfort. Have you ever stood in line waiting to board a flight and thought to yourself, “If they’d just put me in charge, I could get us on this plane a lot faster”? Welcome to the club. We’ve all thought it. Truth be told, though, it’s not as random or inefficient as it may seem. Just the opposite. Vast amounts of research have resulted in several different processes over several different airlines. We found the following compilation in an article on Conde Nast Traveler very interesting. That’s more than a feeling. The U.S. Bureau of Transportation Statistics says 2013 was a record year for flying, with 83.1 percent of all seats filled — the highest rate ever. Although it may seem annoying to the weary traveler to face seats filled completely around you, the fact of the matter is that the more seats an airline fills, the more efficiently it’s operating. Think of an airline like a rental truck you rented to move your furniture to a new house. Is it better to fill your truck up and make one trip or fill it halfway and make multiple trips? Which costs more? Which saves you more time and money? Airlines want to fill up every flight so they’re fully utilizing their capacity and generating the greatest profit for the lowest cost per passenger. Every single flight carries fixed costs like gas, the pilots, and the flight attendants, among many other costs. That’s true whether you’re carrying one passenger or 400. But if you can carry 400, your cost per passenger drops significantly. In 2013, although there were more travelers than ever, there were also fewer flights. More people are flying for business and for pleasure than ever before, but airlines are reducing the number of flights to ensure they’re as full as possible. What seems inconvenient is actually greater efficiency on the part of airlines compared to how they used to operate in the past. And while we may not care so much about the airline’s bottom line, it’s nice to know the airline is more likely to stay in business, so we can get to where we need to go the next time we need a flight. While it may be a pain and make us uncomfortable, this is going to be business as usual for the airline industry for the foreseeable future. So it’s important that we adapt and find new ways to be comfortable and enjoy the flight. The premiere airline carrier of the Netherlands, KLM Royal Dutch Airlines, has introduced a new method for passengers boarding planes in an effort to improve efficiency. Replacing the standard boarding procedures will be a new, numerical process that will assign each passenger a number as they reach the boarding gate. That number corresponds to their seat number, and as that number is displayed by screens on the boarding gate, the passenger is allowed to board the plan and find his or her seat. This new procedure will, of course, allow priority members, those with reduced mobility and passengers with children to be seated first. After those individuals have been seated, the other passengers will be seated starting in the rear and working towards the front. Travelers with window seating will be seated first in each row, followed by middle seats and finally passengers seated in the aisle. KLM designed the process with hopes to minimize the overall waiting time and increase the passenger experience. Instead of having to waste time idle in line, travelers can spend that time relaxing in the lounge. Because each seat is assigned a number as they reach the gate, there will be no confusion about sitting in another passenger’s seat. The new process has been seen by many as a much-needed improvement for the traveler. However, a red flag has been raised. Some travelers are concerned that having to wait to be called to board will decrease the chance they will be able to use the overhead bins for carry-on luggage. While this may be a small complaint, it is one that must be addressed if the boarding technique is to be seen as a success and adopted by other airlines. The current boarding technique is occurring on a test run with select flights. If all goes well, the procedure will be expanded to other flights in the coming months. If you had to design a plane boarding procedure, what would you come up with? Any suggestions? If you’ve ever wondered why airlines board flights the way they do, you’re not alone. After waiting to board (and disembark from) one too many flights, University of Illinois astrophysicist Jason Steffen decided there must be a more efficient method, and decided to see if he could find it. His recommendation? The best system would be to space the boarding passengers two rows apart, while filling window seats first, then middle and aisle seats. 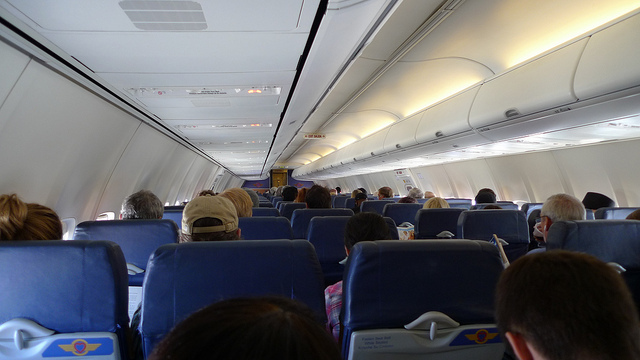 It doesn’t take an astrophysicist to realize that most boarding methods are inefficient, as most passengers must block the aisle while stowing their baggage in the overhead compartments. Perhaps even more frustrating is the process of exiting the plane – those stuck in the rear of the plane must wait for everyone on the flight to retrieve their carry-on bags from the overhead bins. Currently, the vast majority of airlines board in groups, with first-class and other elite passengers boarding first. 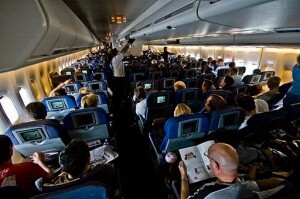 From there, some airlines opt to board from the rear to the front, while others fill the window seats, then the aisle. Other airlines (such as Southwest) allow passengers to sit wherever they please – and pay extra for the opportunity to board first. Some airlines are testing out new boarding methods. For example, American Airlines is allowing passengers without carry-on luggage to board first. United has cut down their boarding groups from seven to five and have added additional boarding lanes to cut down on traffic jams at the gate. According to United’s CEO, this method has already resulted in a 60% decrease in boarding-related departure delays. The time delay isn’t just frustrating for passengers, it’s also costly to the airlines themselves. 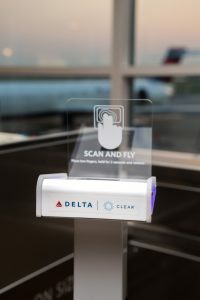 Researchers from Northern Illinois University recently found that every minute added at the gate resulted in a $30 increase in costs. It can also result in flight delays and missed connecting flights. In other words, it’s in an airline’s best interest to test better methods. Do you have any thoughts on how airlines can improve the boarding process? Share with us in the comments section.